Read more about the 900 hour, hands-on Automotive Service Technician day and evenimg programs, including information about earning ASE Certification. Each student in the full-time day program will complete an internship within the automotive industry. The internship provides each student with valuable experience in an actual work atmosphere. Additionally, the internship provides an excellent opportunity to get your foot in the door with a potential employer! MTTI instructors are highly experienced Automotive Service technicians; most are ASE certified Master Technicians. 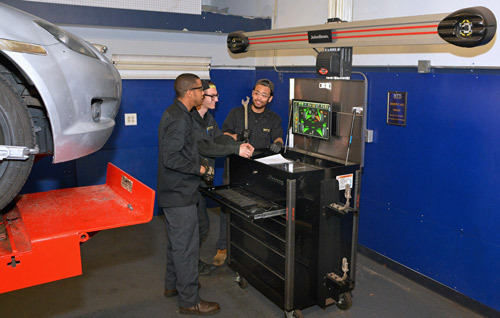 Each has worked in the automotive industry for many years and meets the standards of approval by the Massachusetts Office of Private Occupational School Education (OSE) within the Division of Professional Licensure (DPL) and the ACCSC (the Accrediting Commission of Career Schools and Colleges). MTTI instructors and staff work together with Career Service Specialists to help students successfully enter new careers. 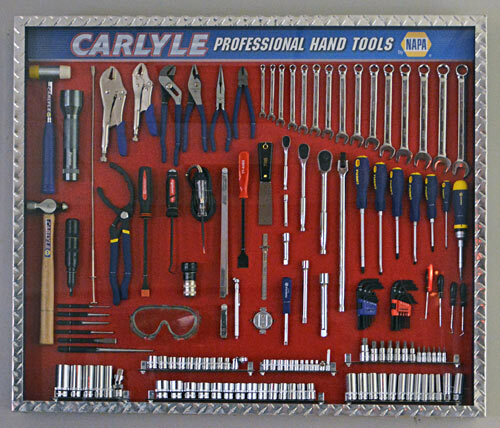 Each student receives a professional tool kit for use throughout the program. Graduates who successfully enter verified training-related employment within 90 days keep the tools to use on the job. The complete Tool Bonus Policy is outlined in the Student Orientation Booklet. Please see an Admissions Representative for complete details on the tool policy. Students who successfully complete the 900-hour program will receive an Automotive Service Technician Diploma. Each of MTTI’s programs has been approved by the Massachusetts education agency and the ACCSC. Our Admissions Representatives welcome all your questions! Contact MTTI today to learn more about the Automotive Service Technician program. Costs for 2016-2017 tuition, fees and supplies, before any Title IV funding loans are applied, are listed on the Consumer Information page for this program. 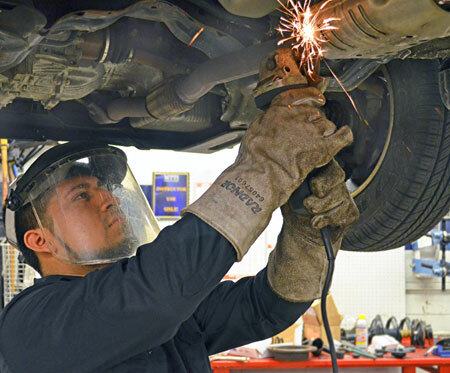 For the Gainful Employment information for this program, please visit the Gainful Employment Disclosure for the Automotive Service Technician program.